Wayne Rooney led the big names linked with a move to China but in the end the only arrivals were striker Anthony Modeste and a cast mostly of freebies, loanees and has-beens. Experts and insiders say a 100 percent tax on foreign imports and befuddling last-minute changes to Chinese transfer rules ensured the transfer window in the country fizzled to a close on Friday. A source close to talks to bring an English Premier League star to China said that confusion over the rules had greatly complicated the move and negotiations eventually broke down. Chinese Super League (CSL) clubs shelled out record-breaking sums in the winter transfer window, heralding the arrival for 60 million euros ($69 million) of Brazilian Oscar to Shanghai SIPG. Carlos Tevez joined Shanghai Shenhua on similarly world-leading wages, while Belgian international Axel Witsel, Brazilian forward Alexandre Pato and the Nigerian John Obi Mikel all left European football for China on handsome contracts. But the Beijing government and Chinese Football Association (CFA), fearing that domestic players were being squeezed out, in May proposed a prohibitive rule that every time a club in debt spent on an import, they would have to pay the same amount again to a fund for developing the local game. Even as the summer transfer window opened on June 19, the CFA was tweaking its policy, saying that the 100 percent levy would kick in on foreign players costing more than 45 million yuan ($6.6 million, 5.8 million euros) and Chinese over 20 million yuan. Tianjin Quanjian, strongly linked in the winter with Chelsea striker Diego Costa, seemed determined to snare a forward. 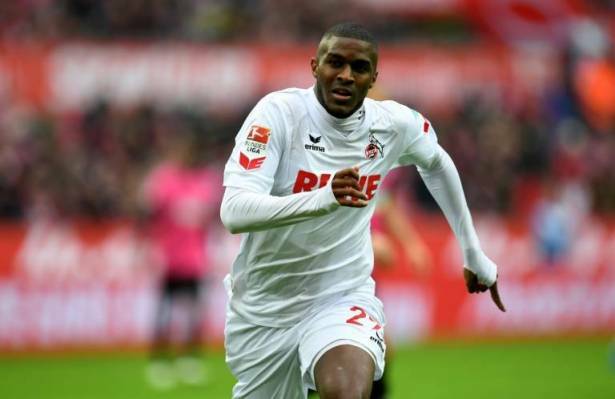 They got their man in French marksman Modeste and appeared to get round the transfer rules by signing him on what German daily Bild said was a two-year loan for about six million euros, with an option to buy for 29 million euros. Rooney left Manchester United but instead of China returned to Everton, while Pierre-Emerick Aubameyang -- also rumoured to be off to China -- remains at Borussia Dortmund. Simon Chadwick, professor of sports enterprise at University of Salford in Manchester, said the transfer tax and limits on the number of foreign players to three a match "killed" the market. Chinese clubs were under heavy pressure from the government -- which has made improving the national side's fortunes a priority and at the same time is concerned about capital flight -- to stop spending on foreign talent, he said. "Clubs have erred on the side of caution and desisted from making the kind of high-profile, high-value signings that we have seen over the last few years," Chadwick said. "The state has effectively spoken and when the (Chinese) state speaks, people in organisations are expected to listen. "This transfer window has been characterised by people moderating their activities in response to state concerns about spiralling transfer values." Aside from Modeste, Chinese clubs did limited business during the four-week transfer window, taking players on loan, for free or for relatively meagre fees. Jiangsu Suning, managed by Italian Fabio Capello, snapped up Cameroon forward Benjamin Moukandjo for a reported 5.5 million euros -- just avoiding the 100 percent charge. CSL champions Guangzhou Evergrande re-signed Brazilian journeyman Muriqui on a free transfer but their best business was holding on to midfielder Paulinho with Barcelona sniffing around. Slovenian international Kevin Kampl's move from German side Bayer Leverkusen to Beijing Guoan fell through at the last minute after the clubs failed to agree over terms of payment. Chadwick said that after two contrasting transfer windows in the winter and this time, Chinese football faced a major challenge to identify the middle ground. "They've veered from excess to austerity in the space of one year," he said. "So they've gone from a situation where everyone was talking about the Super League because of the big-name signings to a situation where now nobody is talking about it because there are no big-name signings."